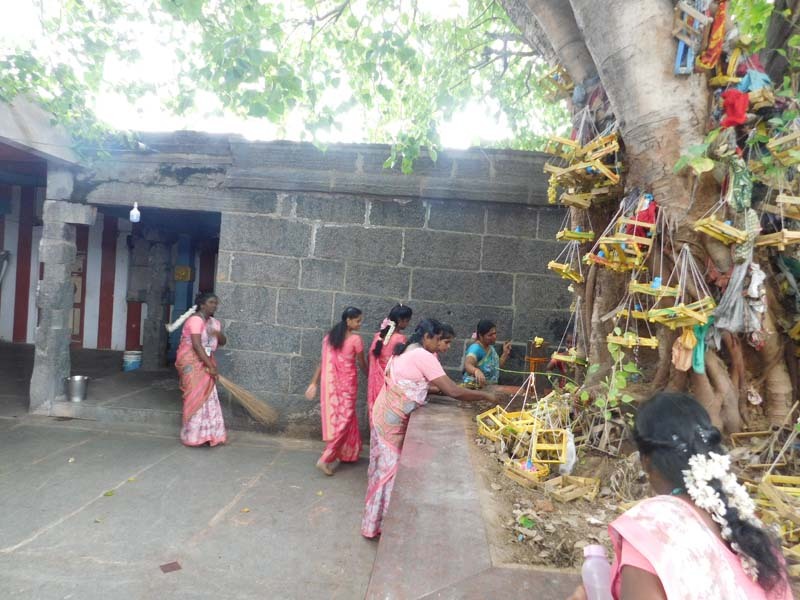 Tuticorin District – 628 203. 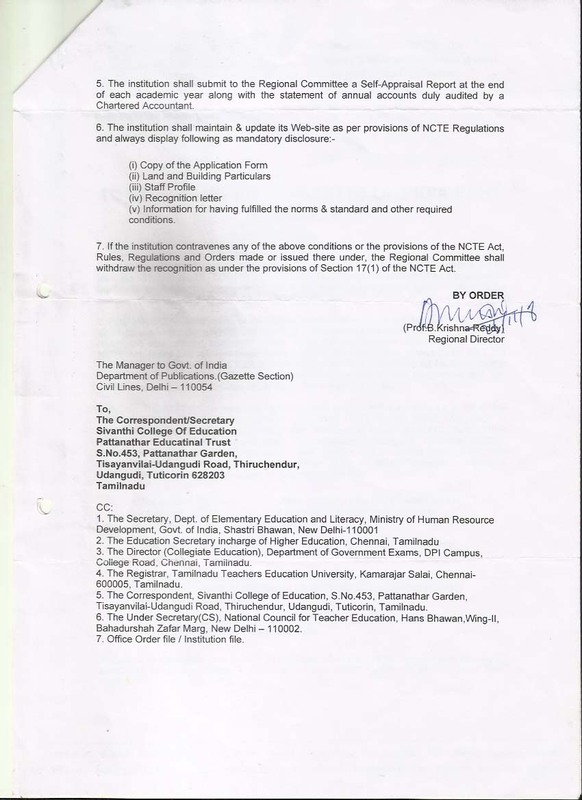 Name and address of the Institution : SIVANTHI COLLEGE OF EDUCATION, No: 453, Pattanathar Garden, Piraikudiyeruppu, Udangudi, Tuticorin District – 628 203. 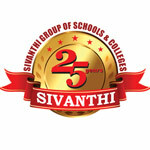 The SIVANTHI COLLEGE OF EDUCATION was established in the year 2009 underthe self financed scheme to meet out the need of teachers in present & forth coming time. 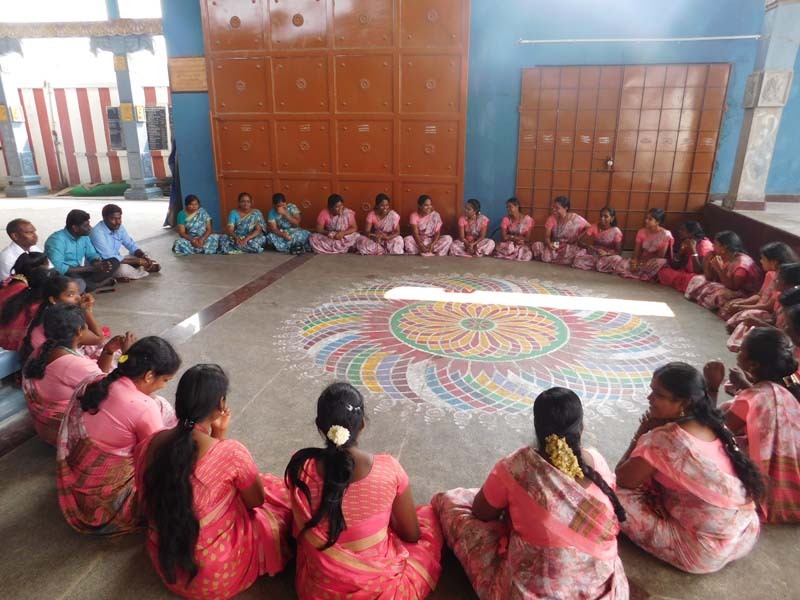 The College is situated in natural, clean environment with lush green area approximately 56 kms from Tuticorin district, Piraikudiyeruppu, Udangudi, Tamil Nadu state. Campus is entirely free from all types of pollution, The teacher education programme of the institution is designed to bring out physical, intellectual, emotional & ethical integration of an individual with a view to develop a complete person. 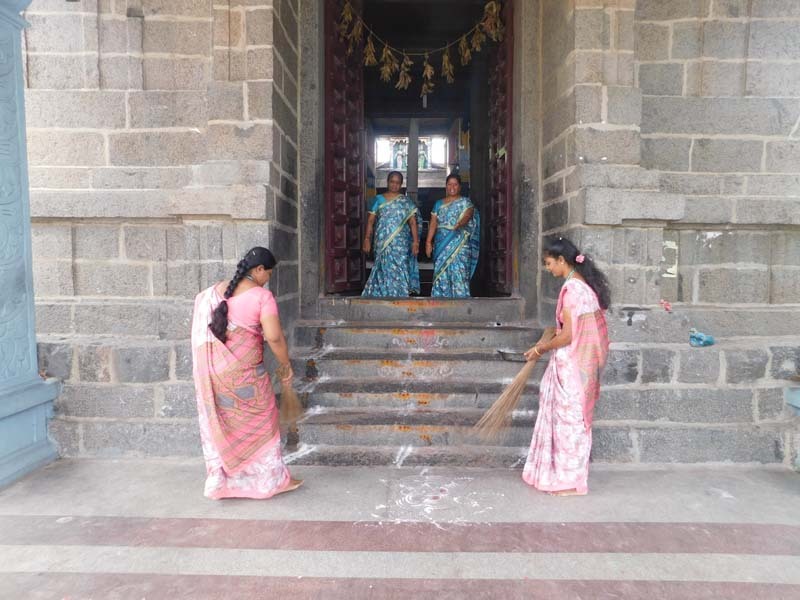 The college has been successful in it’s Endeavour by developing a peaceful atmosphere, high thinking and the sprit of togetherness in staff and students to inculcate the social responsibilities among the students. Institute aims to endeavor, encourage and fulfill the need of students with latest educational facilities by providing qualitative environment, equipping moral and ethical values, promotion on creative spirit and innovation of excellence. TO UPGRADE THE COLLEGE INTO AN EXCELLENT RESEARCH INSTITUTE. TO EXPERIMENT WITH INNOVATIVE IDEAS IN TEACHING AND LEARNING. TO INSTIL IN THE TEACHER TRAINEES A SENSE OF PRIDE IN AND LOVE FOR THEIR PROFESSION. TO FOSTER IN THEM A REALIZATION THAT TEACHING AND A STERLING CHARACTER GO TOGETHER. To develop reflective, critical and creative thinking among prospective teachers, inter-personal and social skills along with right attitude and self-motivation. The following goals and objectives have been laid down by our institution to realize the vision to fulfill the mission of the College. To help future prospective teachers to develop competence to each subjects of their specialization, on the basis of an adequate theory of learning and sound knowledge of the subjects. To enable the prospective teachers to use their skills in an intelligent manners. To impart sound and all round education to the student teachers. To provide proper orientation to them, aimed at drawing their potentialities. The following committees have been constituted through the College Council to all matters. College Council – Principal and all the members of the Teaching staff. Admission committee – Principal and two senior faculty Members. Sports committee – Principal, Physical Director, one from faculty and two student representatives. Library advisory committee – Librarian and two members of the faculty members and two student representatives. 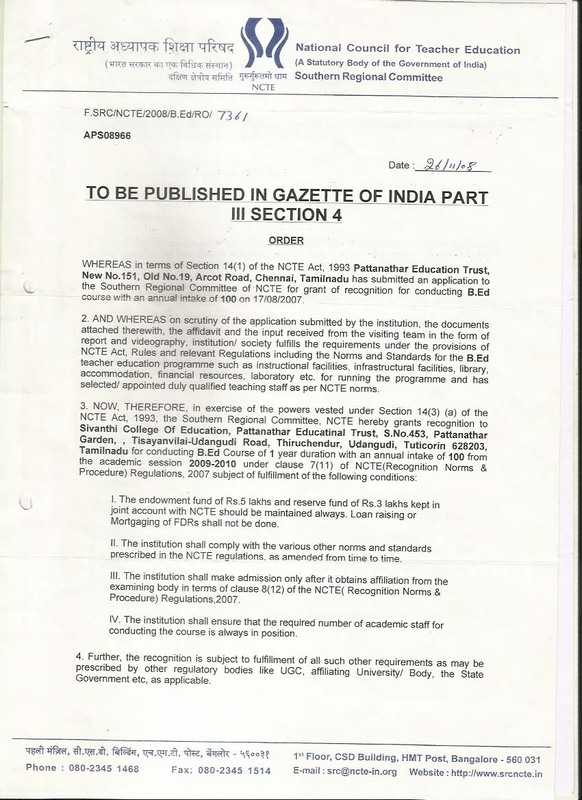 Grievance-redressal Cell – The College Council itself functions as Grievance – Redressal Cell. Student Council – One Chairman, One Secretary, One Joint Secretary, Four executive committee members. The Anti-Ragging Committee – Principal, three staff members, three students representatives. The Institution has a spacious building with well ventilated ICE enabled classrooms, seminar hall with a seating capacity for 200 students, extensive library and reading room facilities, well equipped laboratories for educational Technology, Science, Psychology and Computer Laboratory, Principal’s room, Office room and staff room. Buildup area 25070 sq ft. Girls & boys rest room facility 1022 ft.
A full pledged library with the latest resources is also located in the campus. The college library is well stocked with reference books, educational journals and magazines. In our college we conducted sports day on February 2015. All students were participated in several games. Some students were selected for separate games. We separated into four groups. Each group name is Green, Blue, Red and Yellow. Boys group are under the Green and Blue houses. Red and Yellow houses are two groups of girls. Badminton, Volley ball, Tuck of war and Atheletics were conducted for men. 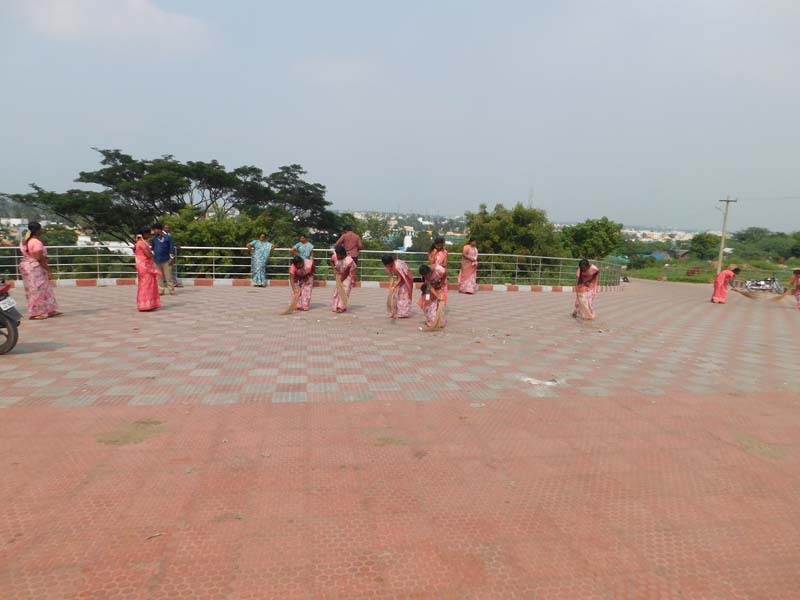 Kho-Kho, Kabbadi, Ball badminton & Atheletics were conducted for women. 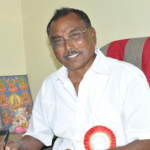 The Chief Guest Mr. Nagarajan, Principal of Shri Sankara Bhagavathi Arts & Science College in Kommadikottai, addressed the gathering. In his address he spoke the importance of games and how do we develop our health through physical activities. It was useful for all the students and got some information about the knowledge of games.